One Driver: San Francisco developer says DRM is financially and morally a good idea. Coming hot off the heels of the recent From Dust DRM controversy, Martin Edmonson, founder of Ubisoft Reflections says publishers have "every right" to ensure their properties are protected. "You have to do something," Edmonson said. "It's just, simply, PC piracy is at the most incredible rates. This game cost a huge amount of money to develop, and it has to be, quite rightly - quite morally correctly - protected." Ubisoft announced in July that its "Always On" DRM - which requires the owner to be constantly connected to the internet while playing - would be used in the PC version of Driver: San Francisco, while console versions would be playable offline. After receiving negative community feedback, the publisher tweaked the terms, requiring gamers to "only" sign in to launch the game, which can then be played offline after the verification. "It's difficult to get away from the fact that as a developer, as somebody who puts their blood, sweat and tears into this thing... And from the publisher's point of view, which invests tens and tens and tens of millions into a product - by the time you've got marketing, a hundred million - that piracy on the PC is unbelievable," Edmonson explained. The developer added that the decision to use Uplay Passport was not his, but Ubisoft's. New versions of Driver: San Francisco will come packaged with a code that grants access to the 11 multiplayer modes and an exclusive Film Director mode. Those who purchase the game used will have to pay extra for the features. "It's one of those things that we just have to get used to," Edmonson added. "It's going to happen." 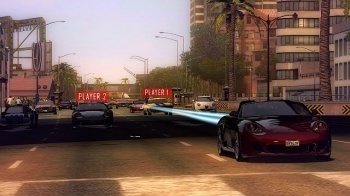 Driver: San Francisco comes out for the Xbox 360, PlayStation 3, and Wii on September 6. The PC version will arrive September 27.